You must never forget your power to manifest; you have created each and every thing in your life thus far (whether you are happy with what you have or not). And you continue to create it right now; with every thought that you have, with every belief that you hold, with every action that you take you are constantly creating the future. 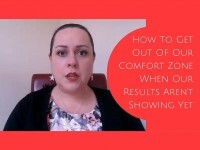 How do you make sure you have exactly what you want in the future? Base your beliefs, thoughts and actions up that. NOW. Don’t put it off for any reason at all. There can be no delay in creating the future that you want because you will then tell yourself, those around you and the universe that you aren’t actually serious or earnest about it. If you want it all, you can have it all. As much as it can be amazing to have the support of friends and family, and as much as their belief in you can bolster you, you can still create the future you want without it. Do no let someone else’s belief in you, (or lack of belief in you), dictate your success. Do not look outside for your power because YOU ARE the power. It’s all within you to manifest your desires. Keep your desires at the forefront of your mind daily. Hourly! Visualise your desires; how will they look, how will they feel? Go into every detail and swim in the images and feelings of what it will be like to have your desires come true now. Look for signs that what you want is manifesting already and make a note of them. Base your decisions on where you want to be, NOT where you are now. Base your actions on where you want to be, NOT where you are now. Believe that it WILL happen. It’s done. It’s as simple as that. Leave no room for doubt. Be open to receiving. Recently I learned that I haven’t been as open to receiving as I thought I was! When I was made aware of this by a wonderful friend, and so then I deliberately became more open to receiving. Almost immediately even more goodness begun to show up in my life. Be aware of any blocks you may have in receiving what it is you truly want. Write it down and make it happen! As I cross off everything I have set my desires on, I realise that (sometimes slowly, always surely), I get what I want. Write your desires down. Take them from your mind and into the world with your pen. This is such a powerful action. Believe the universe it conspiring WITH you to give you what you want. The world is here to support you. Apply all of the above and watch your world begin to turn and change. 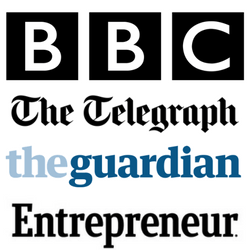 If you want my support in creating a life and business based on alignment, freedom and doing what you love, then get in touch now about my VIP Day coming up in BRISTOL next week. It’s time to manifest the life you want! 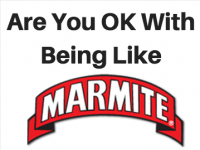 Are You OK With Being Like Marmite?